We had previously written about the new foam dyeing technique developed in the US by the Fiber and Biopolymer Research Institute of Texas Tech University in collaboration with Indigo Mill Designs. 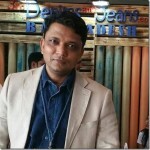 They have come out with a revolutionary way of dyeing indigo and if this succeeds, it can help make a huge contribution in making denim fabrics sustainable. With almost zero discharge, the process is termed as Indigo Zero. We spoke to Ralph Tharpe of Indigo Mill Designs, a denim veteran with over 30 years of experience in the industry, about what this new concept and design is all about and why it is being viewed as revolutionary. He spoke to us in detail and explained what are the unique strengths of this process and explains all in his own words. IndigoZERO™ – is a process of dyeing indigo without a dye bath and without wastewater discharge. Crocking and wash fastness is actually much improved. The dry yarn without sizing has less color rub off. IndigoZERO™ allows production of yarn without rinse water discharge to the environment, but yet wash fastness can be improved. This is very important for knitted indigo yarns. There is no use of any reducer (hydrosulfite). The dye is received pre-reduced. This leuco condition has to be maintained until the dyeing is completed. No need to reduce the indigo with chemicals at all as it is already in leuco form. The same can be sourced from various suppliers including Dystar, Archroma, Bluconnection etc sell it. Besides, there is another option of creating this pre-reduced indigo. A machine by Smart Indigo (Sedo Engineering) company can create pre-reduced indigo on site. The only issue is that the pre-reduced has to be pure and has to be protected from oxygen during shipping, storage, dyeing etc. Oxygen has to be excluded at all points. It’s a difficult process and many people told me it is impossible before we built the machine, but we finally figured out the way to do that. At the beginning of the project, we picked out a place in the TTU lab to wash the yarn after dying. 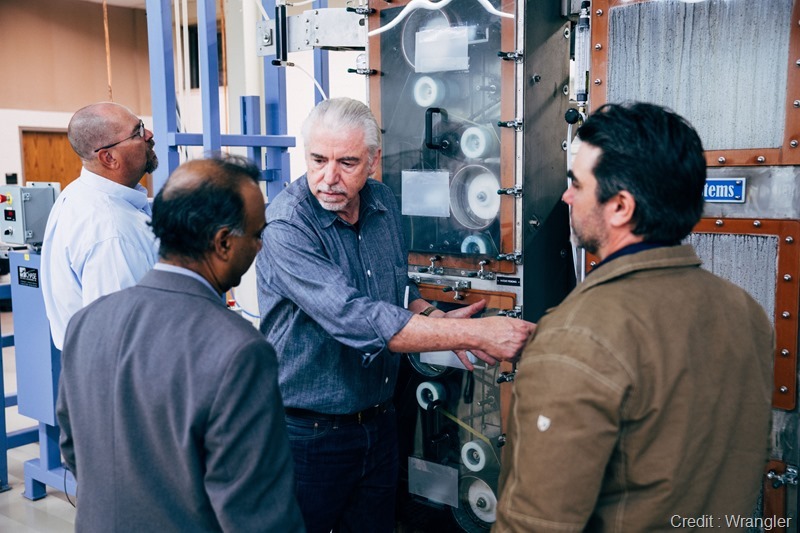 But when we started the machine in test mode at Gaston Systems Inc. in Stanley, North Carolina, we noticed that the wet yarn did not rub off on our hands as easily as conventionally dyed indigo. It turned out that we didn’t have to use a rinsing process. 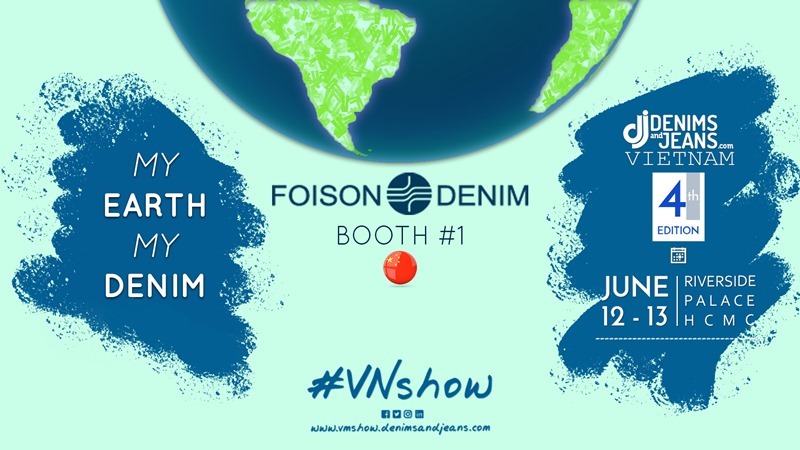 If we are looking at 6 billion yards of denim production globally – we can save about 4 gallons per yard of denim produced or about 24 billion gallons of water globally. That can be a huge impact on the sustainability credentials of denim! Gaston Systems has been working on indigo dyeing with foam for more than 10 years. The support we received from Gaston Systems, Walmart Foundation, the state of Texas, and VF Corporation, enabled the necessary research. Any low wet pick up method of dyeing with indigo, including foam, faces the critical challenge of maintaining leuco conditions. Gaston Systems knows more about foam application that anyone in the world. Our discoveries, and the patent applications that resulted would not have been possible without their support. It is amazing what can be accomplished with determination and support. We envision three forms of the machine. The two machines starting in production are essentially slasher dye machines but without dye baths. We will support Gaston Systems in offering this machine at ITMA. It will have greater annual capacity than conventional slasher dyers. The second form of the machine is like the one owned by the Fiber and Biopolymer Research Institute. We need to refine the design of this machine. It will produce cones of indigo dyed yarn that can be used for knits or wovens. This machine would be for research and product development, hopefully in multiple settings around the world. We are evaluating the feasibility of a third form of the machine which would dye one section beam (400 to 600 yarns) at a time. Potentially this design could reduce yarn waste and improve minimum order quantities. Certainly, it would find application for knit yarns and high specialized denim. I talked to many dyers and they are today not thinking about water cost. However, in the near future water is going to be a big cost. Imagine how much water will be saved and how much cost savings it will translate into. Imagine a denim plant that did not have to have a water treatment plant. The elimination of reducer and the elimination of rinsing water are the keys to improved sustainability for indigo dyeing. We are planning to combine IndigoZERO™ with natural indigo and other sustainable technologies, like laser and ozone, to create a completely new way to make denim and jeans. This is the second advantage of IndigoZERO™ – COST SAVINGS. Because of higher speeds, reduced chemical needs, and reduced water costs, the payback on IndigoZERO™ is very fast. Two important global denim mills are soon going to find out the advantages this machine offers. Both the machines are meant for insertion into a big range replacing conventional dye boxes. Both these companies are visionaries and can see the future and embrace the possibilities of this technology and both are moving forward even though there is always a risk in new technology. We would like to change the design of the research machine so that it runs from one cone to another. So an undyed cone turns into a dyed cone directly. This machine delivers the third benefit of Indigo Zero – SPEED TO MARKET. We can spin the yarn in the first half of the day, dye inthe second half of the day and weave it the next day and the jeans can be made in 48 hours right from conception . This might be possible in a existing setups but at a large cost . But with this small machine configuration for Indigo Zero, we can accomplish Sustainability, Reduce Cost and have Speed to Market. Return on investment is improved because the speed and cost of product development is greatly improved. Another person might say, “What kind of crazy process is being followed where we put 3-4% of indigo by weight and then sell the product at 1%.” We are wasting resources both in putting on and in the taking off . You need new technologies to put it on and new ones to take it off. Ralph says his dream is to see that ultimately industry might reach a stage where indigo dyeing process can be considered as one of the most sustainable dyeing methods and no indigo is ever wasted. 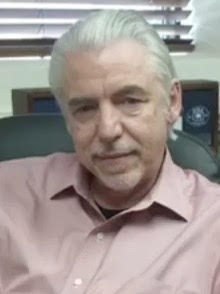 When asked about future prospects of the project, he mentioned that he needs to take this project on a bigger scale and need more finance for Texas Tech University – Fiber and Biopolymer Research Institute. . They are doing various tests to further develop the process including testing dyeing on different types of cotton – to see how they perform in the dying and whether cotton also makes a difference and how much. However, we need the industry to support the development as costs of R&D are high. There is still much left to learn. We will also be receiving feedbacks from two mills to whom we have shipped the machine and my fingers are crossed!